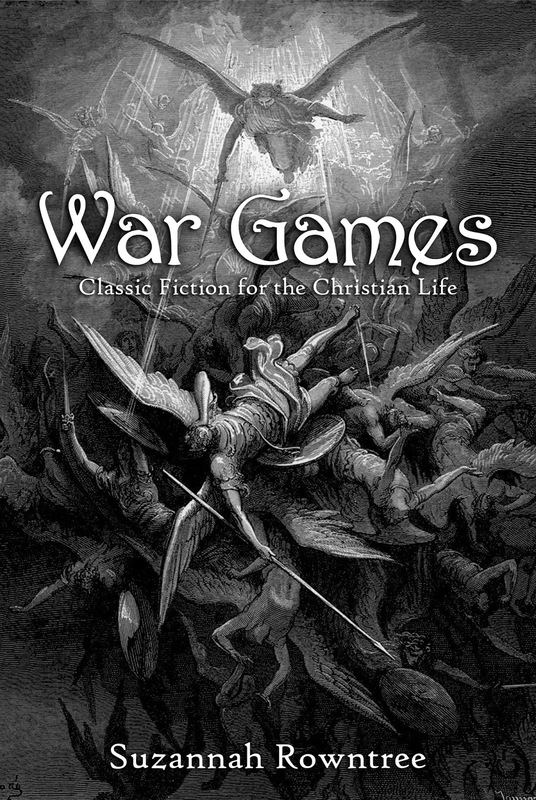 This week I finally got around to a job I've been unable to touch for months: updating my book War Games: Classic Fiction for the Christian Life. I have a soft spot for this book of mine. Second to writing fiction, my favourite thing is writing about fiction. I want to help everyone get the most out of the books they read. War Games was my chance to rave on about some of the greatest works of Christian fiction I've ever read, with the aim of leaving readers far better equipped to evaluate and benefit from the fiction they read. If what my readers say is to be believed, War Games was a success. So what's new in the 2nd Edition? Fewer typos. Yes, this book had a few, but with the help of some extra pairs of eyes, I've eliminated most of them. Shiny new interior design. Since publishing the 1st edition, I've taught myself to format both ebooks and paperbacks using professional methods. I've also done some reading in the fine art of typography. This is particularly visible in the paperback edition, which will look the same on the outside, but much smoother and prettier on the inside. Suggested essay topics! These questions at the end of each chapter, ranging from simple to fiendish, can be used as essay topics, journalling inspiration, or study group conversation starters. Or they can be ignored completely. Use them as you will! Great! Where can we get the book? You can buy the updated Kindle edition just the same, at Amazon, for $2.99. The 2nd edition paperback is live right now at Createspace for $10.99. It'll take a few weeks to become available through other channels, such as Amazon and The Book Depository. In the meanwhile, if you already have a copy of the Kindle or paperback 1st edition, and would like a copy of the suggested essay topics, please email me and I'll be very happy to send you a copy of the essay topics. 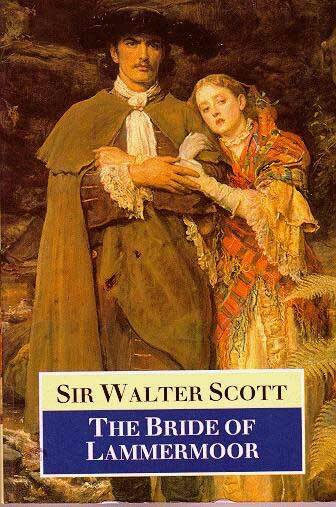 How many years has it been since the last time I read a Sir Walter Scott book? I don't remember. Nor do I remember just what whim it was that decided me to download and read a book I'd long avoided, on account of knowing its tragic ending: The Bride of Lammermoor. Maybe it was a sudden desire to read something truly gothic and melodramatic. Edgar, the young, handsome, and brooding Master of Ravenswood, has nothing left of the old family estates except the derelict castle of Wolf's Crag and an old comic-relief manservant named Caleb. All the family wealth, including the fine estate of Ravenswood itself, is now in the hands of Sir William Ashton, an astute but henpecked lawyer, and his formidable battle-axe of a wife, Lady Ashton. The Master of Ravenswood, determined to avenge his father's slow death of despair under an avalanche of lawsuits, heads off to Ravenswood to confront Sir William - and, to his surprise, winds up rescuing the lawyer's gentle daughter Lucy from certain death! As old family retainers prophesy doom and the political machinations of 18th-century Scotland threaten to overturn the Ashton family fortunes as easily as they previously overturned the Ravenswood fortunes, Edgar and Lucy discover that there are some things love can't overcome. I have a few things to say about this book specifically, and then a few things to say about Scott generally. The history here is pretty complex, when it comes to picking sides. One of the reasons for this complexity is the union of the crowns of Scotland and England with the ascension to the English throne in 1606 of James IV of Scotland, better known to history as James I of the United Kingdom. The Stuarts were thoroughly bad news; it was they who provoked a whole series of uprisings by their absolutist doctrines of kingship, including the English Civil War under Charles I, the Covenanter Wars under Charles II, and the Monmouth Rebellion under James II. Scots Presbyterians, in each case, were there on the front lines challenging the hubris of their kings and the persecution of their people. However, it was eventually proven again and again that these same Scots preferred having one of their people on the throne of England. They steadfastly resisted the beheading of Charles I, and they were instrumental in restoring Charles II. Later attempts to oust the main Stuart line, such as the Monmouth Rebellion, focused on replacing that line with ...another candidate from the same house who would be more congenial to Protestantism. Meanwhile, the so-called Glorious Revolution of 1688, and the eviction of James II in favour of the Dutch William of Orange and his wife, James's Protestant daughter Mary, was hardly the triumph of the forces of good and right. It was marked by the infamous Massacre of Glencoe, and ushered in a whole new era of humiliation for the Scottish people, during which their national distinctives--tartan, the bagpipes, et cetera--were outlawed in an attempt to make them forget their feudal allegiance to the House of Stuart. These attempts were a forerunner to the nationalistic wars of the 1800s--a forerunner to the campaigns of Napoleon, Lincoln, Garibaldi, and other unionists. It was a forerunner to other things too: with the Glorious Revolution came the first centralised national bank to England, as well as mercantilism as an economic policy. This was a new kind of tyranny; a tyranny based not on the state of the soul but cold matters of economics and politics. The Glorious Revolution was not so much the triumph of Protestantism over Catholicism as it was the triumph of the Enlightenment over both. Somehow, in the aftermath, the exiled House of Stuart became a romantic image of freedom--champions of justice, as they never had been in practice, and probably would not have been had they succeeded in winning back either of their lost kingdoms. Nothing of which you'll learn reading The Bride of Lammermoor, though it might help to understand the shifting factions and old grudges that tear apart the lovers at the centre of the story; to say nothing of Scott's own attitude, so dismissive of the noble Covenanters who, in his eyes, were the direct forefathers of the persecutions of the 1700s--which he remembered as clearly as this generation remembers World War II. 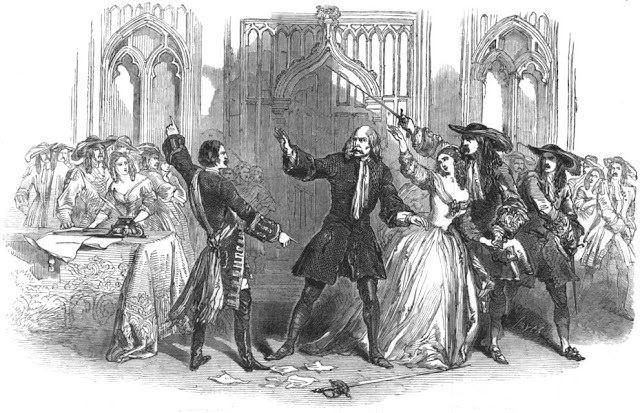 Instead of Capulets and Montagues duelling over some never-explained quarrel, Lammermoor gives us Whigs and Tories duelling over the course of history. It's new blood and new money versus old blood and old money. It's about divided loyalties, reaching all the way up to rival monarchs--Anne versus the King-Over-The-Water--and all the way down through rival suitors for the hand of Lucy Ashton to the little village people near Wolf's Crag who go by turns asserting their independence from their old Master, Ravenswood, and half in awe of him. It's about a whole new Scotland emerging with pangs from the old Scotland. And it's this snapshot of Scotland as it was in Queen Anne's time that Scott is most interested in capturing. Caleb, the comic relief, and his antics in the village trying to keep up Ravenswood appearances, are given so much screen time--taking us away from the high-flown drama of the central plot--precisely because Scott is primarily concerned with giving us an even-handed slice of life across all the social strata of this time and this place. Shakespeare didn't bother with any of this in Romeo and Juliet; instead, he just focused on fleshing out his plot. Scott doesn't even bother with this; he tells you the whole plot in the Prologue, then tells it again in his novel, so briefly, and in such an anecdotal style ("and then all of them died. The End") that it seems anticlimactic. GK Chesterton said of Scott that he was "a chaotic and unequal writer", and The Bride of Lammermoor shows him merrily charging ahead on misfiring cylinders. 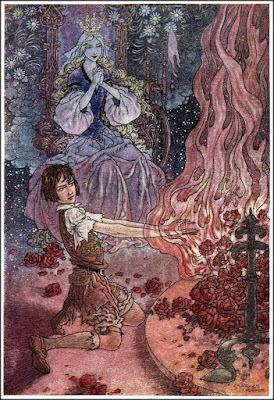 With a little more attention to plotting and characterisation, The Bride of Lammermoor might have been more than just good opera source material; it might have been a really great novel. As is, it's just really fun. But then, Scott wrote really great novels, too; Rob Roy, for instance, and many others I read years ago, some of them again and again and again. Rediscovering an author you haven't read for years is rather like discovering a whole new author--except the old familiar ones bring with them the special delight that comes when you put your hand into the pocket of your winter coat and find some lost cash! Reading The Bride of Lammermoor brought it all so vividly back to me. Scott's plots, I remember now, always struck me as including moments of electrifying excitement interspersed between long passages where nothing seemed to happen at all. And yet, so electrifying were those moments--Helen MacGregor throwing spies into the loch, Ulrica singing on the towers of the burning castle, Sir Kenneth standing stock-still before the axe's blade--and so necessary to the effect of those brief moments of glory were those long boring bits, that all of it was thoroughly worthwhile, even to the philistine I was at thirteen. Reading him again reminded me how much of what's in my imagination I owe to this master author. Of course, Scott would fail--dismally fail--any modern-day writing course. He has been out of literary favour for about a hundred and forty years, and shows no signs of making a comeback. And you have only to dip your nose into him to see why. He doesn't open his novels with a snappy first sentence. In fact, you're in luck if anything particularly interesting happens in the first two chapters. Once starting you on the plot, he has no interest in getting you from A to Z in a hurry. He meanders. He drops into wayside inns and insists that you sit down to listen to conversations between supporting characters, usually about politics, and sometimes about religion, and often about food. He takes you on the scenic route, and you better not be in a hurry. There is one quality which is supreme and continuous in Scott which is little appreciated at present. One of the values we have really lost in recent fiction is the value of eloquence. ...[E]very man of Scott can speak like a king. Scott's bombast... will always be stirring to anyone who approaches it, as he should approach all literature, as a little child. 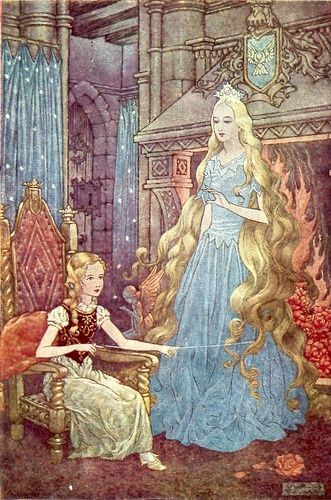 We could easily excuse the contemporary critic for not admiring melodramas and adventure stories, and Punch and Judy, if he would admit that it was a slight deficiency in his artistic sensibilities. Beyond all question, it marks a lack of literary instinct to be unable to simplify one's mind at the first signal of the advance of romance. 'You do me wrong,' said Brian de Bois-Guilbert to Rebecca. 'Many a law, many a commandment have I broken, but my word, never.' 'Die,' cries Balfour of Burley to the villain in 'Old Mortality.' 'Die, hoping nothing, believing nothing--' 'And fearing nothing,' replies the other. This is the old and honourable fine art of bragging, as it was practised by the great worthies of antiquity. The man who cannot appreciate it goes along with the man who cannot appreciate beef or claret or a game with children or a brass band. Ah, bombast! Ah, eloquence! Ah, the old and honourable fine art of bragging! I would have my own characters do it if I thought I could manage it. In fact, I think I will read copious amounts of Scott, until I can. Find The Bride of Lammermoor on Amazon, The Book Depository, or Project Gutenberg. And don't miss GK Chesterton's essay on Scott, either--it's terrific! So, I feel I owe you an explanation. For the last couple of months I haven't been posting much, and that's because for the last couple of months I've been travelling around the beautiful country of New Zealand "on assignment"--helping out some friends. I do this fairly regularly, and I've been to New Zealand a few times over the last years, but this was the first time I've really seen a lot of the country. Now I've seen most of it, from Auckland to Invercargill. It was great fun, and well worth visiting! But there's one place I think my readers will be most interested to hear about...and so, before I return you to your regularly-scheduled book reviews, I am going to break all habit, and post a whole bunch of pictures. 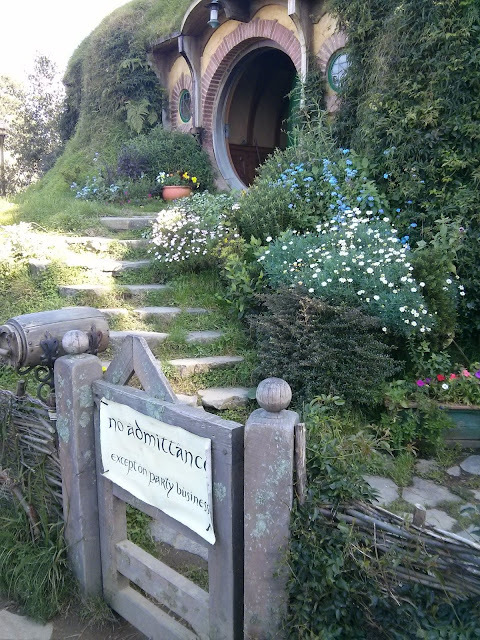 Guess where I got to visit?